When I come across a Karina Halle series, it is hard for me to “only” read the first book. So naturally, when I was done with Sins & Needles, I just had to download and read the second book in the Artist’s Trilogy — Shooting Scars. 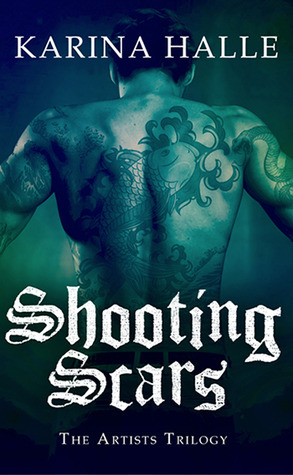 Shooting Scars (such an appropriate name for this book), tells the aftermath of Ellie’s run in with her with her past. In this book, we are properly introduced to Ellie’s ex-boyfriend and drug-cartel extraordinaire — Javier Bernal. Javier coerces Ellie in joining him on a mission to kill major cartel boss, Travis Raines. What Ellie doesn’t realize is that Javier has much more in store than she ever bargained for. As I read through Shooting Scars, it became apparent to me that Ellie, while mostly independent — has always been lead by the men in her life. Whether she draws the men into one of her long cons or they draw her into their lives. Throughout the years we are shown that she has been driven by her need for revenge on the man who threw acid on her leg. Yet it seems that because of the heartbreak she experienced with Javier, it took her away from that mission momentarily. Still, Travis has always been the itch she can’t scratch. The dark spot eating away at her soul. Travis lead her need for revenge. Javier lead her need for lust/love. Camden lead her need for redemption and healing. In the second book, we see Ellie come face to face with a pivotal time in her past — her time with Javier. She deals with his betrayal and recognizes him for the animal he is. Feeling lost, alone and forever tied to this life of being one of the “bad guys”, she allows herself to be brought back into some of the better nostalgic memories she has with Javier. On the other side of the universe in this story, we have Camden trying to figure out how to put his life back together and get Ellie back. I mentioned before, that I wasn’t necessarily a fan of Ellie in Sins & Needles. She was manipulative and shady. I felt like Camden didn’t deserve that. However, by the end of the book, I loved her because of the sacrifices she made; solidifying what I knew but didn’t really have proof of — that she’s more light than dark on the inside. 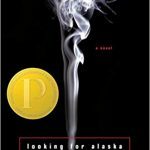 Now into the second book, I really am rooting for her to find peace within herself. Camden and Javier aside — I feel like Ellie needs to be okay just being who she is. Accepting the light and the dark within herself.